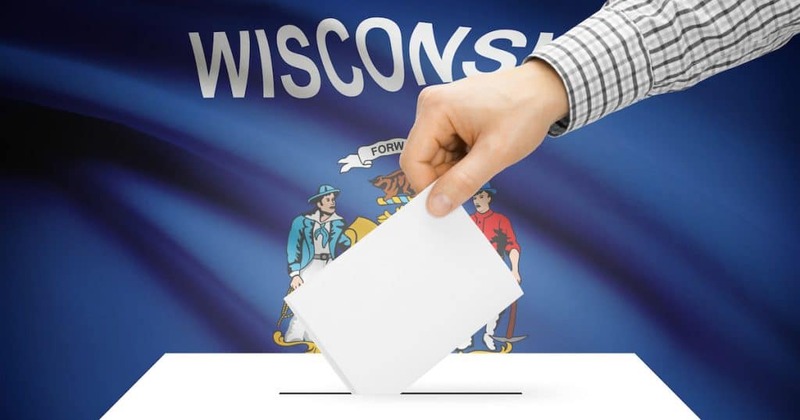 The Wisconsin Supreme Court election on Tuesday unexpectedly turned into a a nail-biter, remaining too close to call in the early hours Wednesday morning. In the Badger State, seven justices are selected in nonpartisan elections for 10-year terms on the state’s high court. Please note: This article will be updated to reflect the latest results. With 99% of precincts reporting, Brian Hagedorn leads Lisa Neubauer 50.2% to 49.8%, or by roughly 5,500 votes. While the elections are technically nonpartisan, Judge Hagedorn is the conservative, while Judge Neubauer is the liberal. Turnout eclipsed the 2018 election, with more than 1.2 million votes being cast. The largest vote share remained in Outagamie County, where Judge Hagedorn currently leads by roughly 54% to 45%. UPDATE: The remaining 5 precincts in Outagamie County have reported, expanding Judge Hagedorn’s lead. In 2016, Donald Trump carried Outagamie County with 54.2% of the vote. A recount petition must be filed with the clerk or agency that received nomination papers for the office for which the recount is being requested. Meanwhile, Judge Hagedorn has declared victory.